Set over three evenings and a whole day spread over eight days, this immersive meditation journey with Zen Master Thich Nhat Hanh's monks and nuns, will help you cultivate your inner Meditator, Artist and Warrior and bring mindfulness into the heart of your life at home and at work. 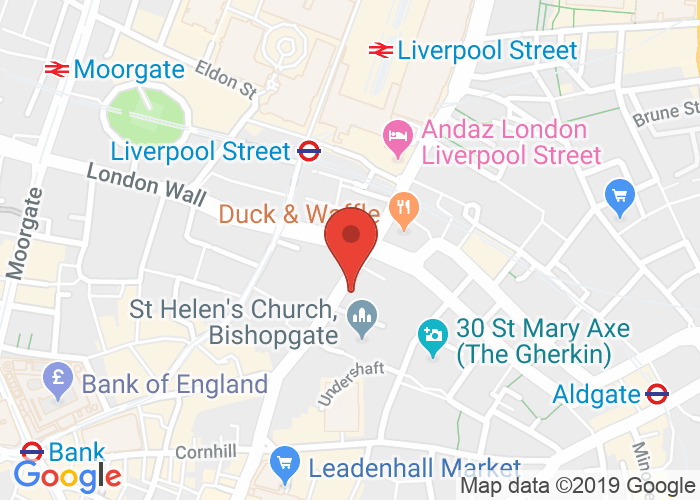 Evenings will take place in the beautiful setting of St Ethelburga's in central London, and Bank Holiday Monday 6th May at the hidden gem of St Katharine's Retreat centre in Limehouse. This Urban Retreat will include collective practice as well as smaller, intimate groups guided directly by Thich Nhat Hanh's monastic Dharma Teachers. Building over four sessions, with trainings to do at home in between, this retreat will help brighten and deepen daily mindfulness practice. The power of the Urban Retreat will be the possibility of learning how to apply and integrate key mindfulness teachings right in the midst of daily life. As we develop new habits, our sense of freedom and empowerment will grow. The retreat will take place in two beautiful and peaceful venues in the heart of the city. There are only 55 places on the Urban Retreat. This represents a chance to spend extended time with Plum Village Monastics in a small and intimate setting. Sister Kinh Nghiem has been a nun for over twenty years. Also known as “Sister Reverence,” she trained directly with Zen Master Thich Nhat Hanh as his attendant in Plum Village, France, and assisted him on his teaching tours around the world. She has been a senior Teacher at Deer Park Monastery, California for the last 8 years. Brother Phap Linh, also known as Brother Spirit, is a musician and seeker. He has composed many of the community’s most beloved chants, and is also pioneering Plum Village’s “yogi and scientist” retreats, exploring how the wisdom of mindfulness and neuroscience can lead to paths of healing. Sister Hien Nghiem, is a passionate advocate of engaged Buddhism and community building. Also known as “Sister Dedication”, she devotes her time and energy to finding creative ways to apply ancient Buddhist wisdom to the challenges of our time. A deep dive into the core meditation practices of Thich Nhat Hanh's Plum Village tradition. Participants will establish a firm grasp on the essential practices of stopping and looking deeply, and the triple-trainings of Mindfulness, Concentration and Insight, as taught in the Anapanasati Sutta. We will train in ways to create "islands" of peace and presence in our day, using practices devised by Thich Nhat Hanh, in all Four Postures (sitting, standing, walking, lying down). Discover Thich Nhat Hanh's recommended ways to bring creativity, freshness and vitality to your daily meditation practice and truly taste "the art of mindful living." Explore how to use ease, joy, poetry, beauty and inspiration in meditation, helping us see the world with right view and make insightful decisions about how to spend our minutes and hours. We will learn key elements of Buddhist psychology, and discover how the trainings of Right Diligence and Appropriate Attention can help cultivate positive and healthy seeds in body and mind. A day outside of space and time, for rest and healing, to refresh and inspire, in the beautiful setting of St Katharine's Retreat. We will have an opportunity to deeply relax and look deeply into ourselves, our hopes and aspirations, and our challenges and fears, in order to find a way out. We will cultivate a strong energy of concentration, with longer sustained practice sessions of sitting and walking meditation guided by the Dharma Teachers. There will be an opportunity for deeper exchange and questions with the monastics, as well as time for personal reflection. Mindfulness is a path, and we are accompanied on that path by Bodhisattvas: great beings who have the strengths and qualities most needed in our time. We will learn how Thay has taught about the energy of Bodhisattvas in the Plum Village tradition, and how we can take their qualities as inspiration for action in our daily life. We will learn how to identify and develop our energy of Volition, how to strengthen and protect our Dharma Body, and how to invest in a daily discipline of Cong Fu to make progress on our path. Course ticket - for all 4 dates. This registration cost includes all four sessions of the Urban Retreat.